﻿ Welcome to AN GEN MACHINE MFG. 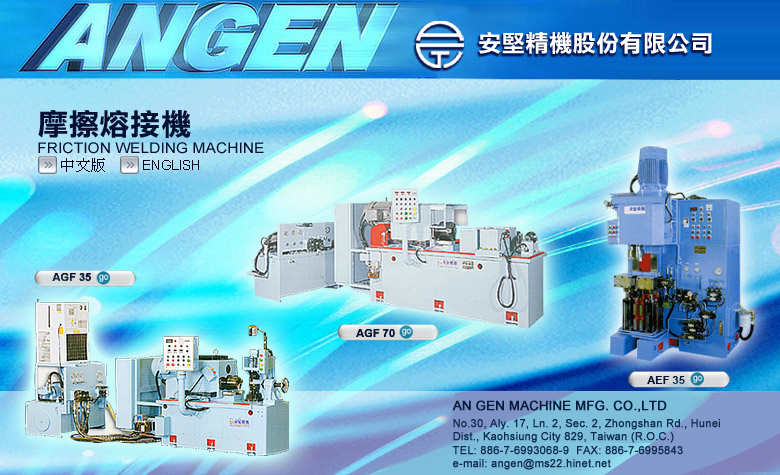 CO.,LTD - Friction Welding Machine, Whole Factory Equipment of Piston, Special-Purpose CNC Lathe, Rapid Drilling Machine. Copyright © AN GEN MACHINE MFG. CO., LTD. Hosted by Machinetools Directory (S & J Corp.), Plastic and Rubber Machine Directory.